Featuring DJ/rapper, Jeremiah Jae who is a celebrated electronic music artist signed to Warp Records in London and vocalist/spoken word artist, Sharon Irving who just raised 20k for her debut CD and who has attracted the interest of some record industry execs. There is a distinguished lineage of post-bop pianists who collaborated with the legendary Miles Davis: Bill Evans, Herbie Hancock, Keith Jarrett, Chick Corea and Joe Zawinul. 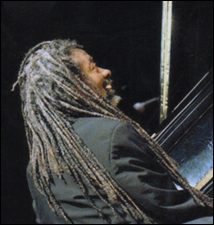 Add to that list of superb artists Robert Irving III, who served as Miles’ last pianist/keyboardist and who proved to be his longest collaborator and musical director (from 1979 to 1988). Irving is the producer five Grammy Award nominated projects.Just as a young Miles Davis was mentored by Dizzy Gillespie, he similarly mentored a 26-year old burgeoning young Robert Irving III in 1979. In-kind, Irving has been nurturing the next generation of young jazz players since 2007 as a professional mentor with the Jazz Institute of Chicago. On the suggestion of his wife, French alto saxophonist, Laurence d’Estival Irving, the group Generations was born as a vehicle to showcase these extraordinary young musicians while creating a workshop for the development of expansive new music composed and arranged by Robert Irving III for the group. Irving’s spouse, Laurence, who is a native of Paris, has performed with Archie Shepp, David Murray, Roy Ayers, George Clinton, Fred Wesley and Pee Wee Ellis. Drummer, Charles “Rick” Heath IV (Irving’s cousin) currently is a member of the Ramsey Lewis Group and performs with Dee Bridgewater, Philip Bailey (EW&F) and played the show The Color Purple. Generations bassist, Emma Dayhuff is a recording engineer and producer of recordings for the Chicago Symphony Orchestra in addition to being in high demand across genres from jazz to country music. Guitarist, Scott Hesse is a music educator who has performed internationally with Dee Alexander’s Evolution Ensemble, Stafford James String Ensemble and the Victor Garcia Organ Group. The two Jazz Institute mentees of Robert Irving III, Rajiv Halim (26) and Irvin Pierce (20) are both leading their own groups as highly recognized ‘young jazz lions’ who have been compared to Cannonball Adderley and John Coltrane respectively. Irving offers, “Another thing that makes this group unique is our tuning system. We tune at the frequency of 432 hertz rather than the western standard of 440 hz. There is extensive research that shows that 432 hz promotes a sense of well-being and balance, whereas 440 hz creates tension.” Fans of the Generations invariably comment that they were ‘blessed’ by the sound and harmonic expansiveness of the band. For this reason the band’s performance experience has been dubbed as “jazz church.”!